Economic relations between India and Australia are headed northwards as the two countries have initiated negotiations for formalizing a comprehensive economic partnership agreement (Cepa). 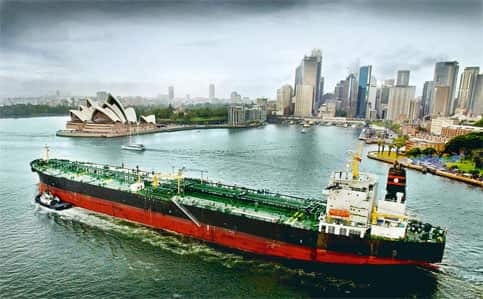 India’s increasing dependence on Australia as a major source of imports has ushered in a new phase in the trade relations between the two countries. From less than $4 billion in 2004-05, India’s imports from Australia increased to more than $12 billion in 2009-10, making it the country’s sixth largest import source. This rate of increase was matched only by imports from China and those of petroleum products. There was, however, a reversal of the trend during the last financial year, as imports from Australia fell by more than $2 billion. While India’s imports from Australia have been buoyant, its exports have barely moved. From about a $1 billion in 2006-07, exports to Australia have risen to a mere $1.7 billion in 2010-11. Sluggish export growth meant that India has not only maintained a very high trade deficit with Australia, but also an export-import ratio that has remained close to 1:8 in most of the recent years. This large deficit would instantly have been a source of concern but for the composition of India’s imports from Australia. Two of the most prominent items that India imports are gold and coal and both are significant in view of India’s recent growth story. The world’s largest exporter of gems and jewellery has been provided ever-increasing supplies of the yellow metal by Australia, which had, by 2009-10, become the second largest import source after Switzerland. And, for an energy deficient country looking to augment its domestically available supplies of fossil fuels, Australia has emerged as the largest supplier of coal. But despite a favourable-looking composition of its imports from Australia, India should be concerned about its inability to penetrate an economy which has been experiencing rapid expansion of purchasing power, aided by the recent commodity boom. India’s record of exports to Australia should be even more disconcerting given that the country’s exports have been going through a phase of exceptionally high rate of growth in general. India’s inability to penetrate Australian markets is exemplified by its rather indifferent showing in the area of services trade. Australia’s economic boom has brought with it large demands for services for which the country has reached out to the global economy. As a result, Australia’s imports of services have increased by nearly 40% over the past five years. But in this growing market for services, India’s share has remained stagnant at around 1%. The low penetration of India in Australian markets despite a range of favourable factors, including the presence of a successful and influential Indian diaspora, can be reversed if the right opportunities are explored in the on-going Cepa negotiations. In the past, India’s engagement with Australia was overshadowed by its concerns in the agricultural sector. The argument advanced was that Australia would seek opening of India’s agricultural markets given its large export interests in the sector and that any move in this direction would seriously undermine food security and livelihoods, particularly of the small and marginal farmers in India. While these arguments would continue to be important, India needs a thorough enquiry as to why its market access in Australia has remained limited in both goods and services. Once the impediments are identified, the two governments can take concrete steps to remove them in course of the Cepa negotiations. There is, however, a much larger dimension of this economic entente between India and Australia, which is the growing cooperation between the two countries in giving shape to some of the significant regional groupings. The development of a dynamic Asian region through the East Asia Summit depends critically on India and Australia to provide much-needed direction. The Indian Ocean Rim Association for Regional Cooperation (IORARC), a collective of 18 countries that focuses on areas of economic cooperation that provides maximum opportunities for development, has remained languid since it was launched nearly a decade and a half back. With India assuming chairmanship of the formation this year and Australia as the vice-chair, IORARC has the great opportunity to realize the objectives for which the organization was established.